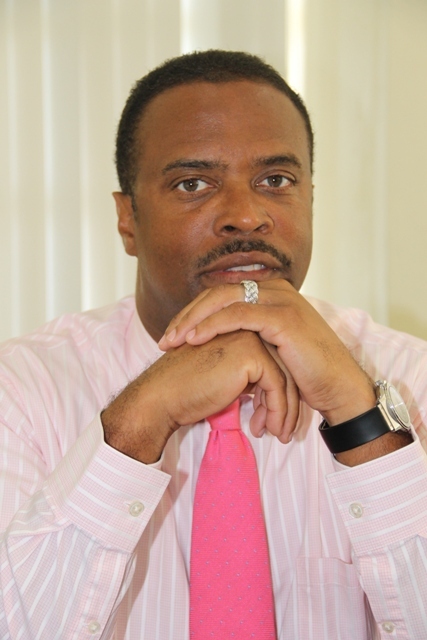 NIA CHARLESTOWN NEVIS (November 03, 2014) — Deputy Premier of Nevis and Minister of Health Hon. Mark Brantley, says that the Nevis Island Administration (NIA) continues to invest in the island’s health services through medical professionals. Mr. Brantley underscored the Administration’s efforts, when he highlighted the successes in the Ministry of Health at a recent Consultation on the Economy hosted by the NIA. “In so far as other successes…I would say that we hired new doctors. We’ve hired new nurses and we also brought back retired nurses to fill the gap, in addition to which, we have invested in young people going off to do nursing. I’m pleased to say…we have, I believe, three new nurses who are coming back shortly and some others who are in the pipeline, will join our health care system very soon,” he said. The Health Minister explained, that apart from the investments in medical professionals he said the Administration had continued to invest in training for health care professionals. “We currently have overseas several people who study medicine. We have people studying pharmacy, physiotherapy and radiology and we’re hopeful that over time, we can man our health care system entirely with individuals who have been trained and developed for that specific purpose,” he said. Mr. Brantley also reported, that there had been a greater focus on mental health. He noted that a full time psychiatrist and a psychiatric nurse would be assigned to the Alexandra Hospital shortly to ensure that the necessary trained personnel were on hand. The Minister used the opportunity to report on plans for the proposed diagnostic wing on the grounds of the Alexandra Hospital in spite of a setback. “It had been our hope to start construction already, sadly, we were delayed. We are now told that the architectural plans are being finalized and once those are finalized, we hope to break ground and to proceed apace, to put what would be the largest single additional investment in the health care infrastructure, that the island has seen in over a decade. “That new wing, we proposed, will host a dialysis unit. It will host a CAT scan. It will host a new lab facility. It will host Physiotherapy, Mammogram, Ultra Sound and X-ray [units]. The idea is that, it will become the nerve centre of the Hospital and a useful diagnostic tool, so that we can do more and our doctors can more specifically identify what might be wrong with people as they present themselves,” he said.